Join hosts MAM Board Members Deb Staber of L.C. 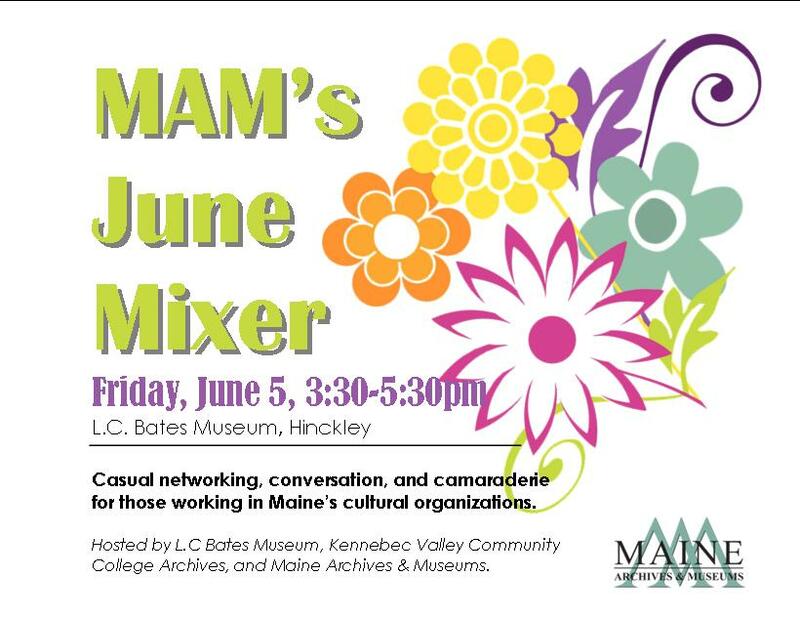 Bates Museum and David O. Smith of Kennebec Valley Community College Archives for a later afternoon get together at the L.C. Bates Museum. Check out the exhibits, enjoy some refreshments and socialize with your colleagues in the field of museums, archives and cultural tourism.